I want to export the audio from a video file so that I can open it with another software (like Audacity) and then further separate the vocal audio from other audio and then save that as a new audio file. I get to the point where I unlink the audio from the video so that it is treated as a separate layer, but then there are no options for exporting the above mentioned, specific audio types. I can export the "audio only" option by checking the box, but that doesn't export it as a compatible audio file. Even when you export it with only the audio box checked, you can't open that file with other audio editing software because it is still a video file type. 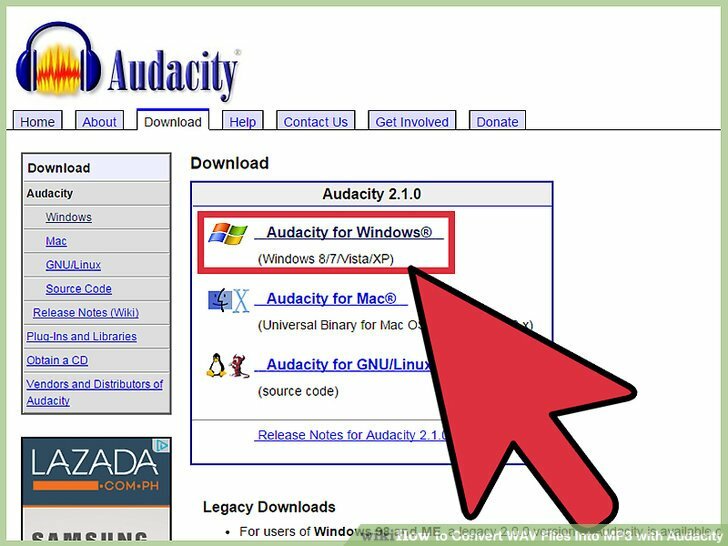 referee hat geschrieben: I want to export the audio from a video file so that I can open it with another software (like Audacity) and then further separate the vocal audio from other audio and then save that as a new audio file. What may be common is hackers infect your router. This is pretty much effortless since most routers have no protection others have a patch made a few years back. By now I am sure it is near worthless by now. Once your router is infected they can man-in-the-middle your web access. If you down load any application or update the middle man can add a back door to your application or upgrade. At that point they have full access to your computer. I can assure you that was happening on my computer for years. I have given up. I will never use my home system to download anything or buy anything. Now hackers can infect hardware so it is too expensive to get a new computer every week. I forgot about this one. I prefer dbPowerAmp because it is easy to use and believe you can use it for free, well enough to get the job done. Not everything works but transcoding does from Windows Explorer after the expiration date or used to. Foobar is another good choice and I believe it is still free. It is a player used mostly by audiophiles. It has many add ons including trans-coding modules. Those users are more likely to catch small problems and complain where it counts. In 15 yrs I bet it is also bug free. Transcoding isn't nearly as safe as everyone thinks. That is probably the main reason why many serious listeners prefer to listen to lossless. If you can hear a difference between lossless and a high-end lossy file look to the transcoder or the person that did the transcoding. Some one screwed up either by doing something wrong or using a junk transcoder. Both are common. leedingcaterer hat geschrieben: I forgot about this one. I prefer dbPowerAmp because it is easy to use and believe you can use it for free, well enough to get the job done. Not everything works but transcoding does from Windows Explorer after the expiration date or used to. Foobar is another good choice and I believe it is still free. It is a player used mostly by audiophiles. It has many add ons including trans-coding modules. Those users are more likely to catch small problems and complain where it counts. In 15 yrs I bet it is also bug free. Right now you're correct, there isn't a way to export audio only. As I think you have figured out, the best way to export audio is as AVI then using other software to separate the audio.